one room schools that once existed in the county. The outer colors represent the school colors of the current high schools int he county.....Blue and White for McConnellsburg; Blue and Gold for Forbes Road; Maroon and Gray for Southern Fulton, and Green and Gold for both the Vo-Tech and the Fulton County Community Christian School. The Alumni Association has generously provided space in the basement for a painting room for the Barn Quilt Committee. 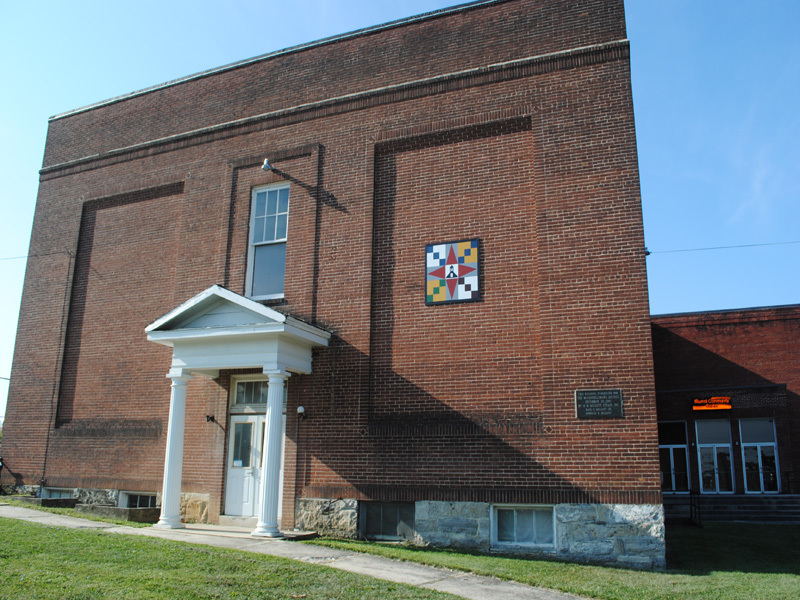 The building houses a county sports museum, an MHS alumi museum and provides space for many community organizations.